Are you having cash flow problems? Are you tired of fighting off internet vendors with their shiny object of the month? Would you like to boost profits, improve cash flow, and enjoy the growth you once knew – or maybe have yet to realize? If you answered yes to any of those questions, but you don’t know where to turn to for help – then this could be the answer you’re looking for. First, a bit about my background and how it might be of help to you and your business. The MRI company I founded and took public – Medical Diagnostics, Inc – was named by Business Week as a “Hot Growth Company” and one of America’s Top Ten “Best Small Companies“. We did it by turning the traditional business model on its head and outworking our competition with productivity twice the industry average. And we brought what was cutting-edge technology to small and mid-sized hospitals at the same time as the big boys got it. Now I’d like to do the same for your business by bringing the tax incentive savings the big boys have used for years to small and mid-sized businesses like yours. 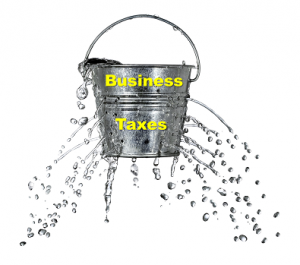 Solving your cash flow problems is most easily achieved by attacking the low-hanging fruit – recapturing your previous over-payments in federal, state, and local taxes. This can – and should – be outsourced to experts who work with your accountants to withstand scrutiny, maximize recovery of over-payments, and lower future operating costs. 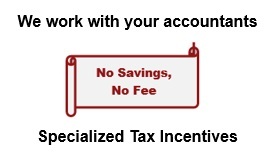 And now you can do it with no out-of-pocket cost – no savings, no fee – so there’s really no more reason NOT to catch up on tax savings you’ve been missing out on. Unlike conventional approaches that require you to bear the risk of not finding enough savings to cover your cost to find them, our no upfront cost approach eliminates this risk of a negative ROI. 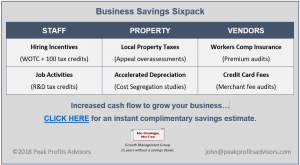 And cost segregation studies that accelerate building depreciation can yield a 10:1 ROI for the two-out-of-three clients we find eligible for tax refunds and savings. Where else can you find a 10:1 ROI on a risk-free basis? Our clients save an average of $240,000 – all of which falls straight to the bottom line. How many millions in new sales would your business need to net $240,000 in profits? Of course, you can’t grow your business by simply cutting costs. But recovering some of your prior tax over-payments can improve your balance sheet and bottom line. This improves your borrowing capacity and provides “found money” to fuel the changes needed for your longer-term growth and profitability. Because some of the cash flow boost this provides in a few short months can be reinvested in plugging the holes in your finances, operations, and marketing that are currently draining profits. 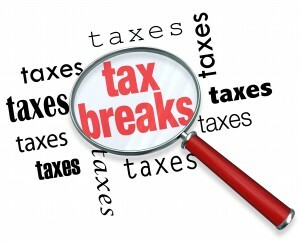 Plugging the holes in your taxes and capturing overlooked tax credits and incentives may be the simplest and fastest way to add cash to your business to pursue more opportunities to grow your business while improving your bottom line. Like an MRI, this data-driven and systematic tax strategy process can keep your business from ending up on life support. Because you need more than vendors’ bandaid “solutions” if you’re hemorrhaging profits. Tax Savings Estimate, click here. Author John LynchPosted on June 30, 2015 December 28, 2018 Categories Cost RecoveryTags business tax incentives, cash flow, working capitalLeave a comment on Need a Cash Flow MRI?